NAZ WOODEN HOUSE B&B, Istanbul, Turkey. Reccomended. 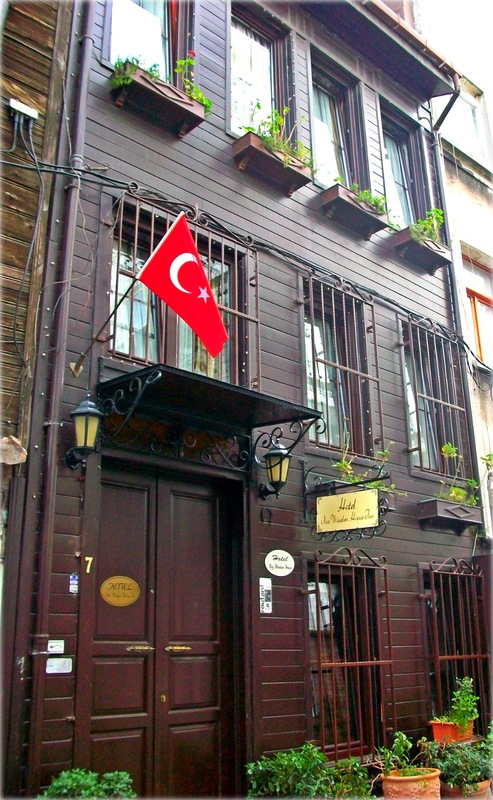 | Travel Blog & Co.
NAZ WOODEN HOUSE B&B, Istanbul, Turkey. Reccomended. I suggest your staying by this b&b, just in case you’re visiting Istanbul. Naz Wooden House is located in the heart of Sultanahmet, the historical centre of the city, a few minutes far from Hagia Sophia and The Blue Mosque. It’s an ancient byzantine house, very well preserved, with a magnificent view on the Bosphoro and an amazing terrace on the mosques and the old city. The staff is very helpful in arranging transfers and every kind of service you could need. I highly reccomend this accommodation. This entry was posted in Hotels & BB and tagged art, articles, B&B, blog, blue mosque, hagia sophia, history, hotel, Istanbul, naz wooden house, photography, Sultanahmet, travel, Turkey by costanzafabbri. Bookmark the permalink.